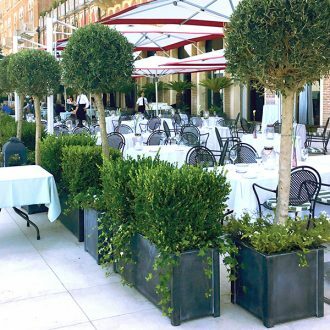 The team had an important deadline for shipping 38 planters and troughs to Hotel Excelsior in Venice for the 75th Venice International Film Festival (Biennale Cinema 2018). They arrived in time for the opening night of the annual festival, which is a highlight of the international showbiz calendar, with the likes of Lady Gaga, Emma Stone and Naomi Watts gracing the red carpet. For further details on any of our planters please contact us on +44 (0)1225 851577.